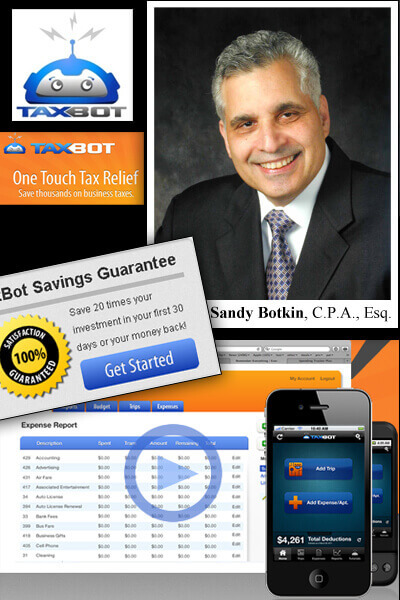 Founder of the popular, easy-to-use TaxBot system and mobile app, Sandy Botkin is the #1 Tax Trainer in North America and a bestselling author; he has been the featured tax expert at Donald Trump and Tony Robbins Seminars. Sandy has also been a guest on FOX, CNN, ABC, and other news outlets for tax expert questions. Sandy has taught thousands of taxpayers how to save millions on their taxes with his seminars and training. He consistently earns rave reviews for his clear and humorous presentations. Over the past two decades, Sandy Botkin gained extensive financial and legal experience, including five years as a Legal Specialist in the Office of Chief Counsel for the IRS. Mr. Botkin was one of 8 attorneys selected by the IRS to train ALL new attorneys to the IRS Corporate Tax Division. Author of the bestselling book, Lower Your Taxes Big Time and Real Estate Tax Secrets of the Rich, Sandy has appeared on various news media, including FOX News, CBS News Nightwatch, Good Morning America, CNN and the Financial News Network, and been featured in major publications including The Wall Street Journal, Money Magazine and Kiplinger Personal Finance Magazine (formerly Changing Times). 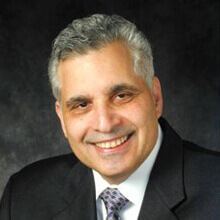 Mr. Botkin is listed in the "Who's Who in Business" and has also served as an Adjunct Professor of Accounting and Law at the University of Maryland and Columbia Union College. 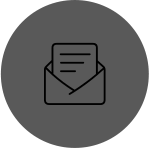 In recent years, Mr. Botkin founded the Tax Reduction Institute (TRI), a tax education company in Washington, D.C., to provide valuable tax information for Independent Contractors and small business professionals.